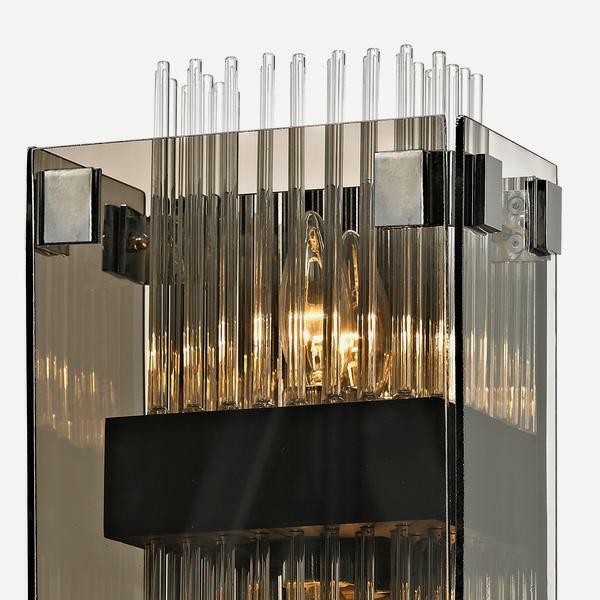 Fortune comprises glass cylindrical shapes, boxed by grey smoky glass panels. The effect is a sconce that stands wide off the wall and creates reflected slivers of light that overall give off a low, atmospheric glow. 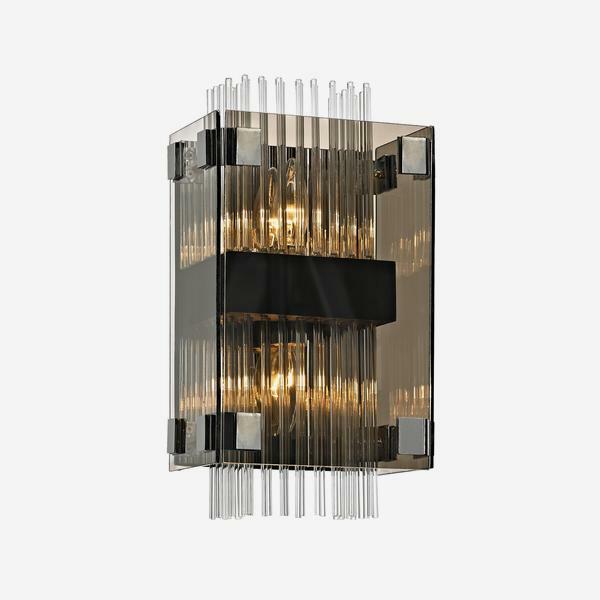 It is modern, metallic and has a sense of the illusionary.